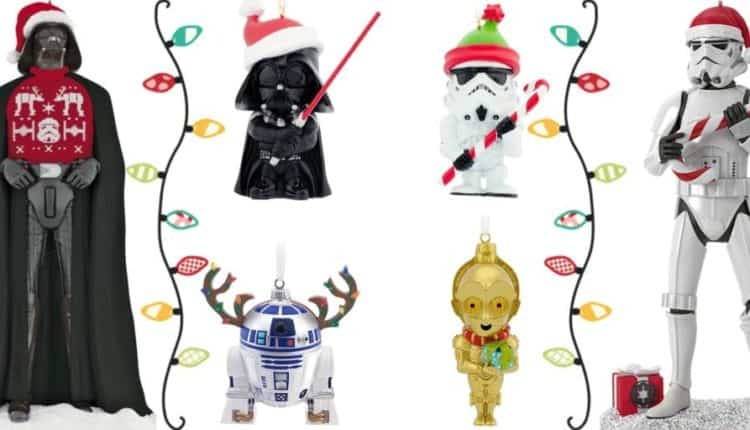 Star Wars Christmas Decorations: The Ultimate Holiday Guide 2019 | Nerd Much? 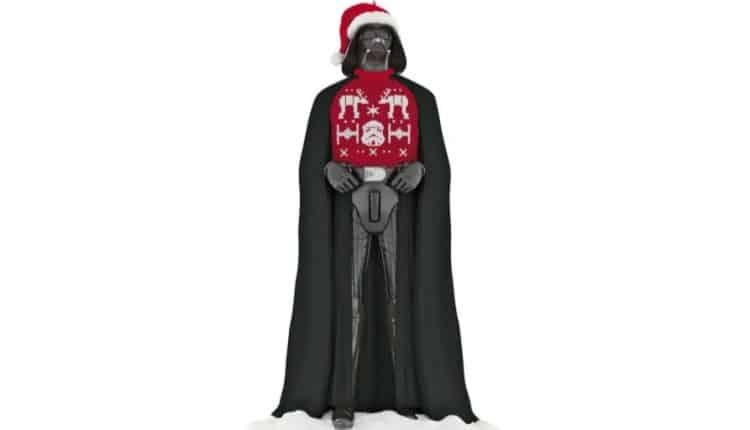 Your favorite Star Wars characters in one merry form or another! Halloween has come and gone, and now it’s time to think about decorating for the upcoming holiday season. For those who don’t already know, we here at Nerd Much? 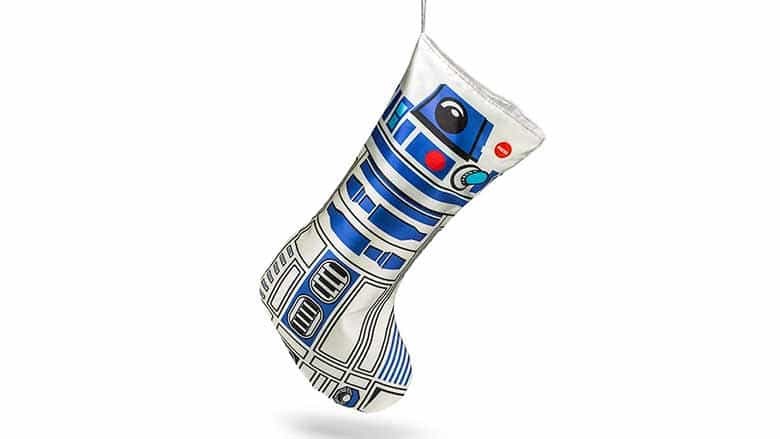 celebrate nerdy Christmas things every year, whether it be nerdy Christmas ornaments, ugly holiday sweaters, or just geeky-themed holiday decor. 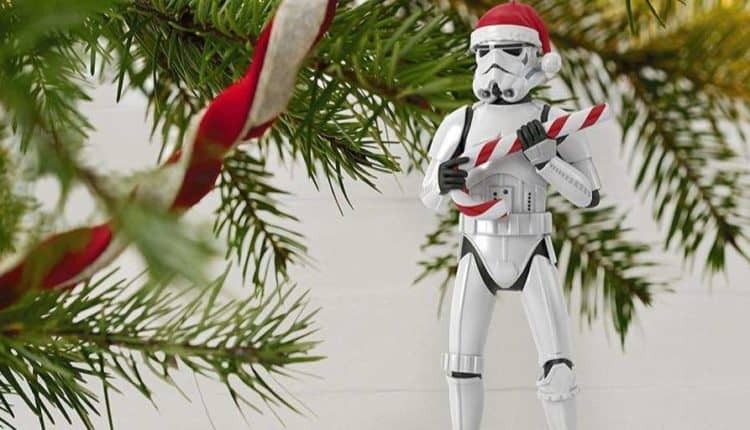 And although we’ve already shared many cool holiday things this year revolving around geek culture, there’s one franchise that deserves its own mega post — a collection of all of the things we can find for this franchise. 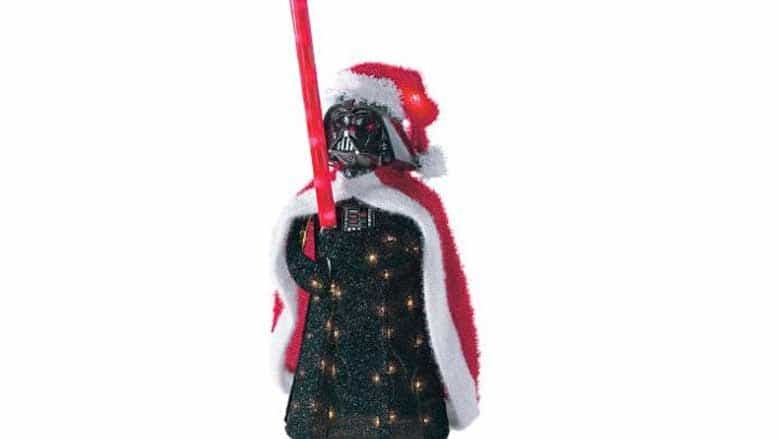 Of course, we’re talking about Star Wars Christmas decorations. 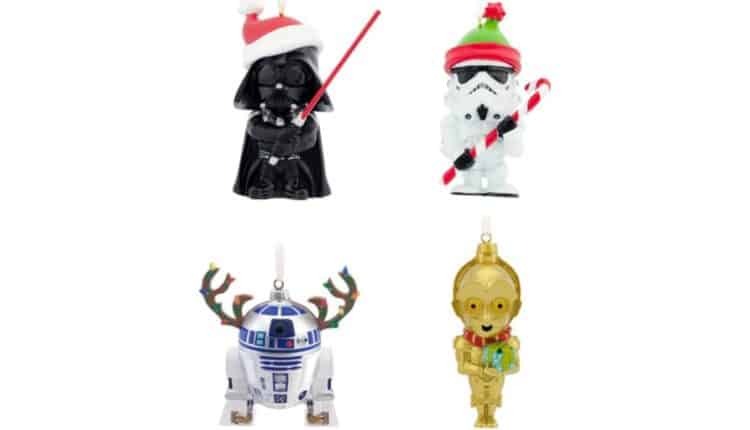 Now, there are many different types of Christmas decor, including tree toppers, lawn ornaments, nutcrackers, lights, stockings, and more. 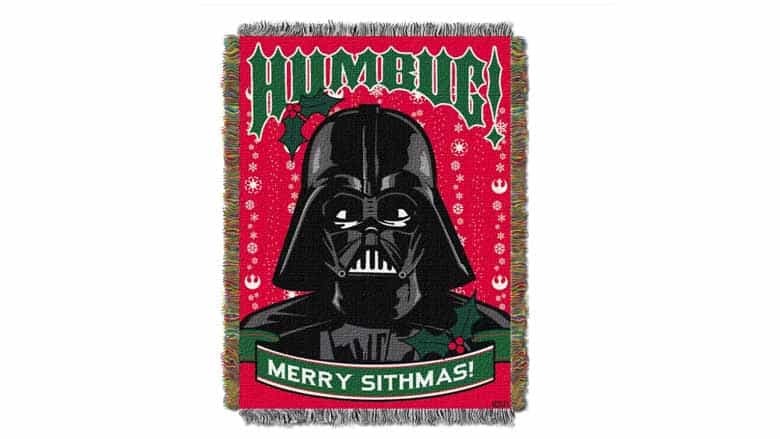 So, the good news is that you have plenty of options if you want to geek-up your house for the holiday season ahead. 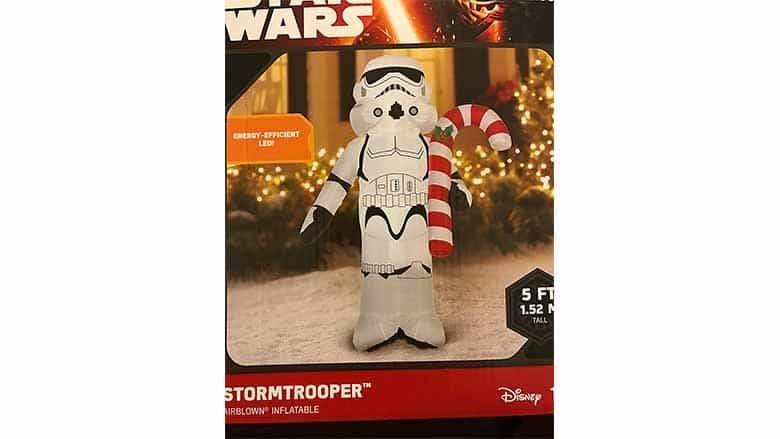 The bad news, though, is that Star Wars Christmas decorations mostly don’t come cheap, so be prepared to put a hurtin’ on your egg nog latte fund. 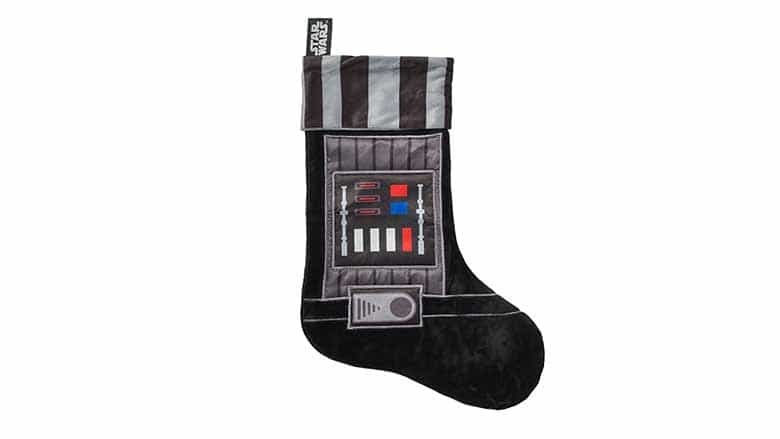 There are many great go-to sites for your nerdy holiday needs. 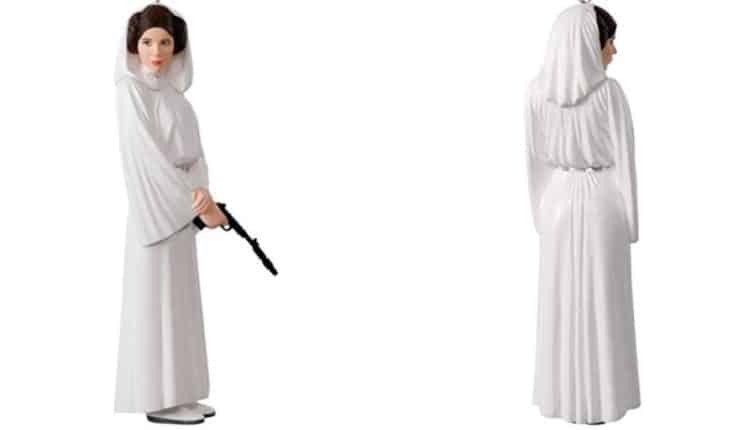 Amazon, ThinkGeek, and Merchoid are a few of our favorites, as well as Target. You’ll find some stuff on WayFair.com and at Pottery Barn as well, but be careful of the pricing. Etsy also has a lot of great, more unique items, although you really have to pay attention to the reviews for quality check purposes. 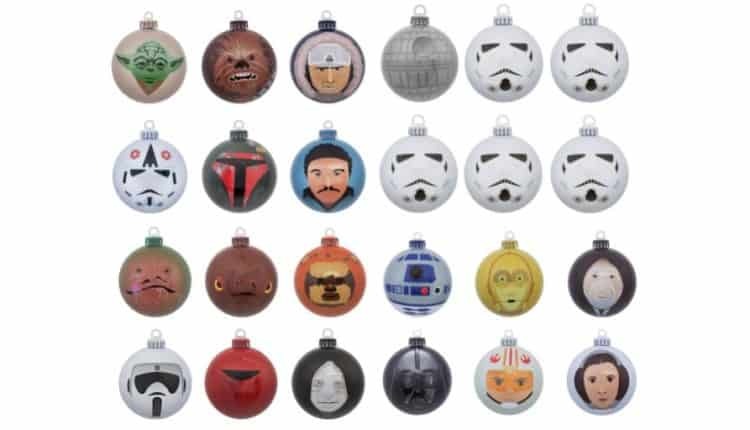 I also want to note that we excluded Christmas tree ornaments from this post because there are so many that it’s a category that deserves its own post (which we’ll have live on the site in the coming days). 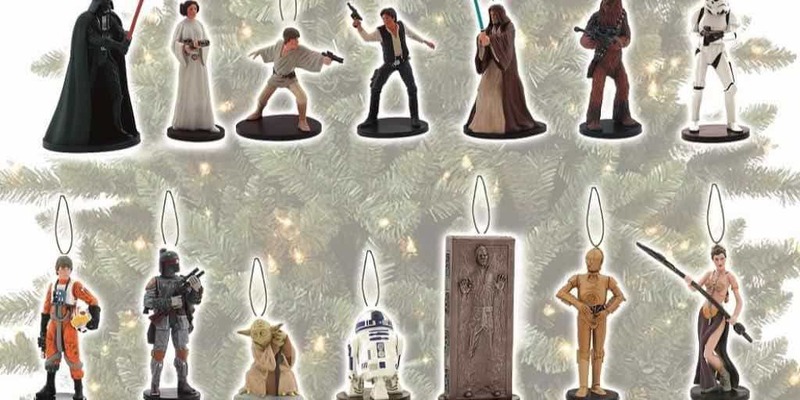 So for now, check out our ultimate guide to Star Wars Christmas decorations below, and check back soon as we’ll have more items to include. 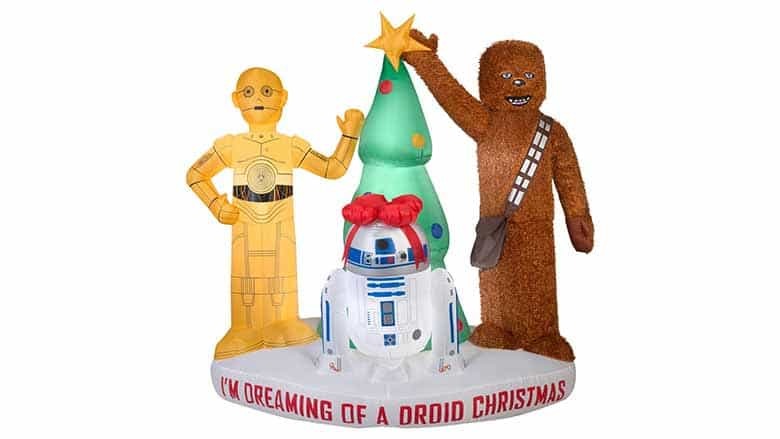 It feels like Chewbacca on the last verse of that 12 Days of Christmas parody song. 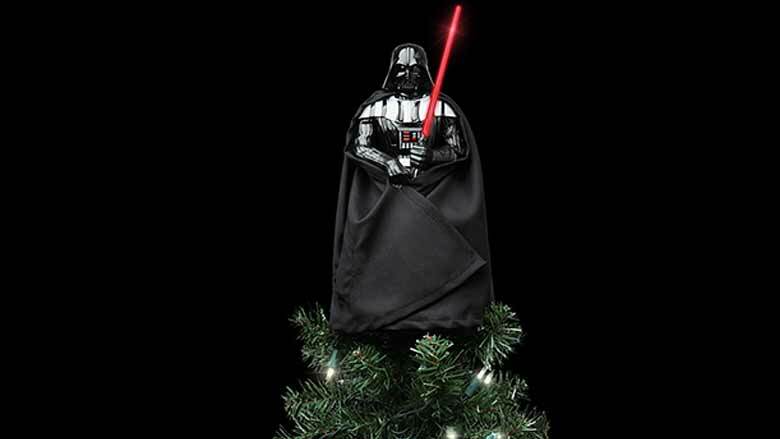 Top your tree with Anakin Skywalker, himself, complete with an illuminated red lightsaber. 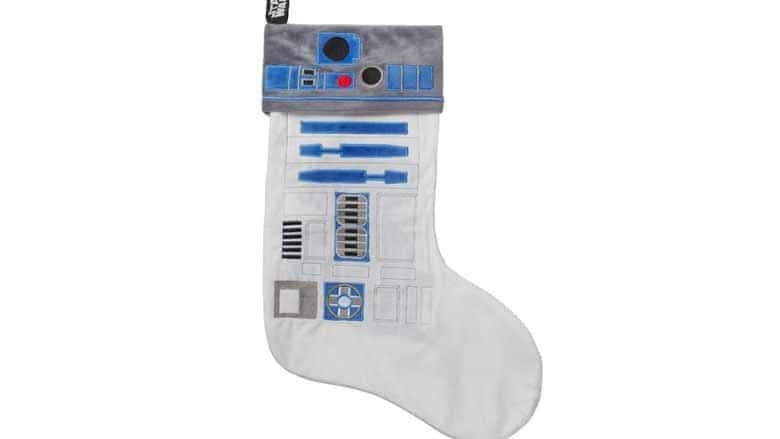 For those long winter nights when you’re sitting by the fire crafting a plan to take over the galaxy. 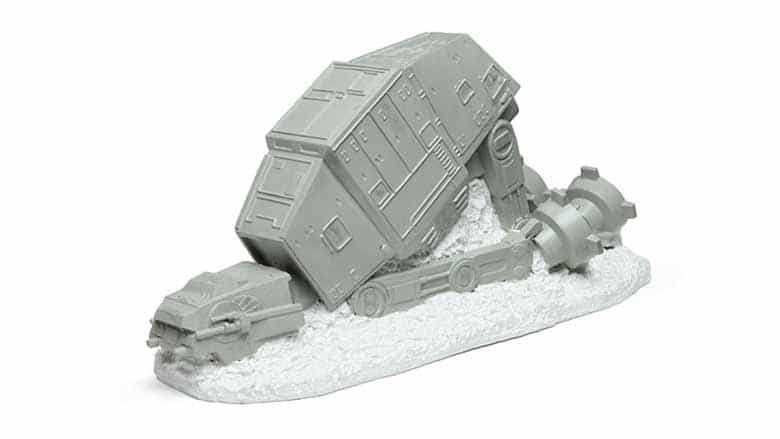 Perfect for your Christmas village, complete with Luke hanging upside down. 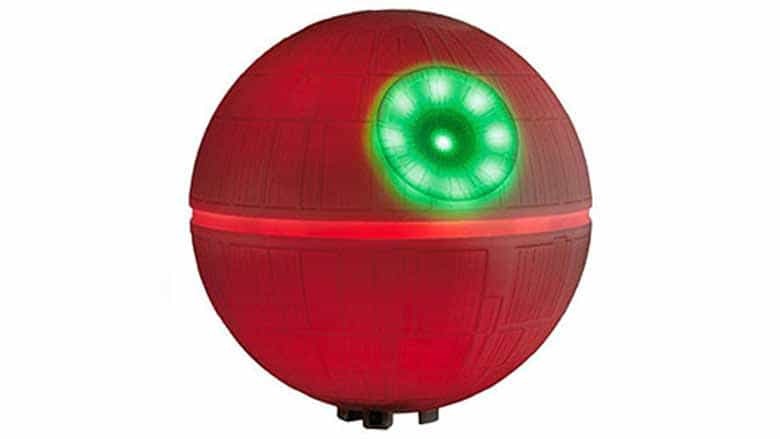 Light your tree with a glowing Death Star that changes colors — equal parts beautiful and evil. 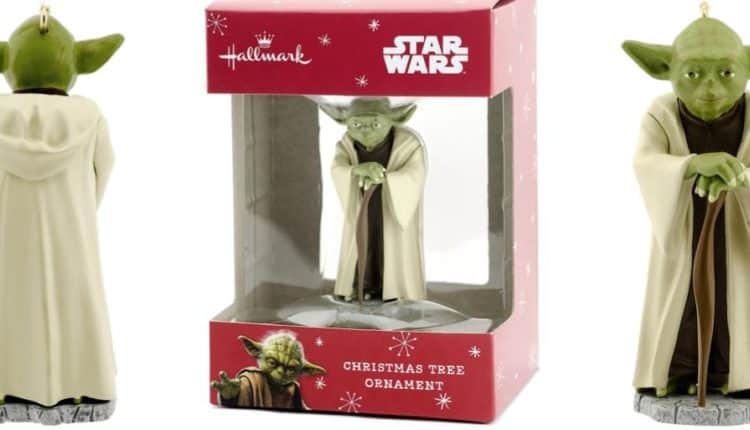 Yoda will keep your tree safe from the Dark Side who might want to take a peek at the presents early. 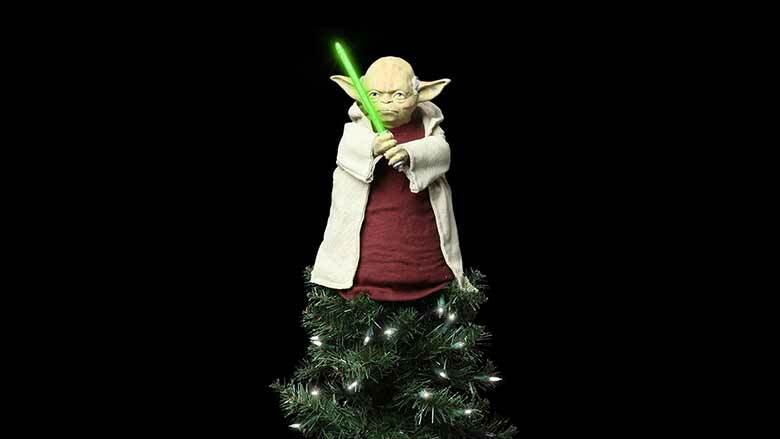 We like this Yoda Table Piece/Tree Topper better as a countertop or table decoration. 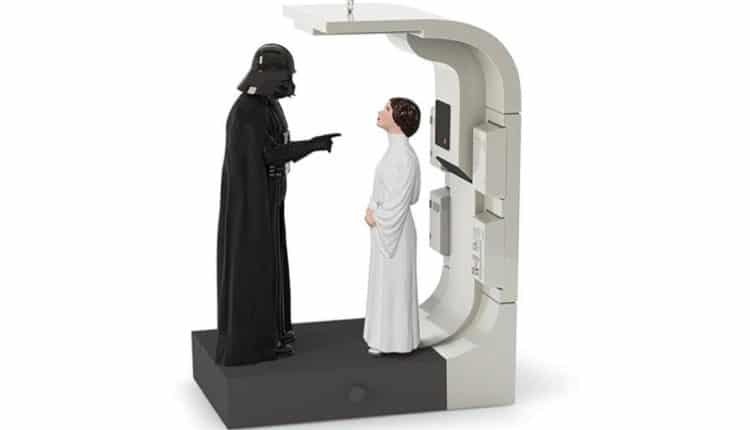 It stands 10-inches — not too tall but not too small, either. Planning to do a ton of holiday baking? 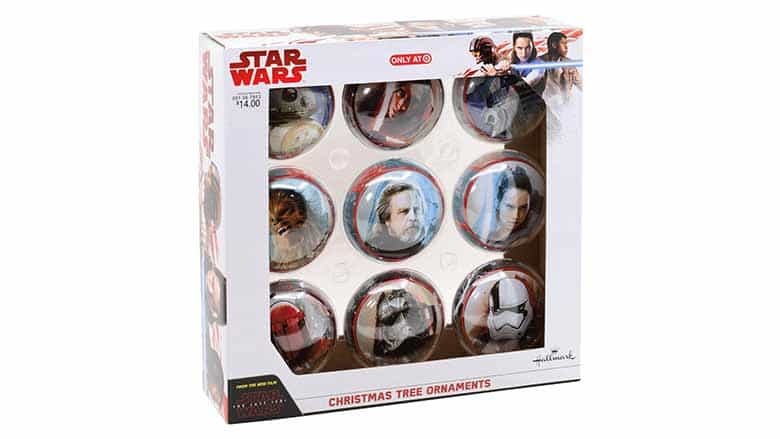 Maybe make some Star Wars Christmas cookies? 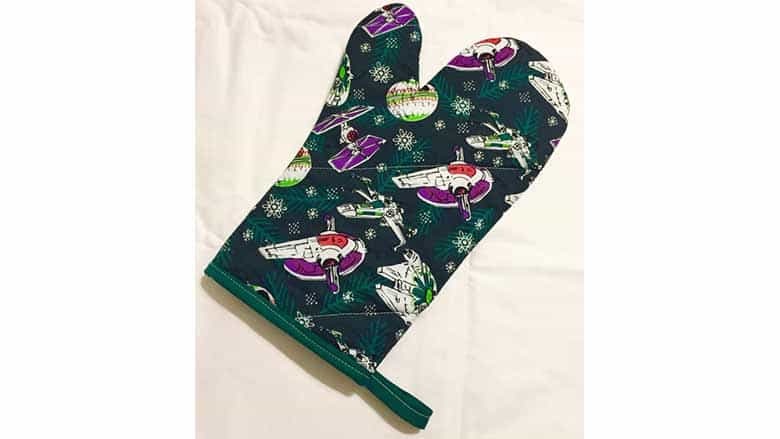 Check out these Star Wars Christmas Oven Mitts on Etsy. 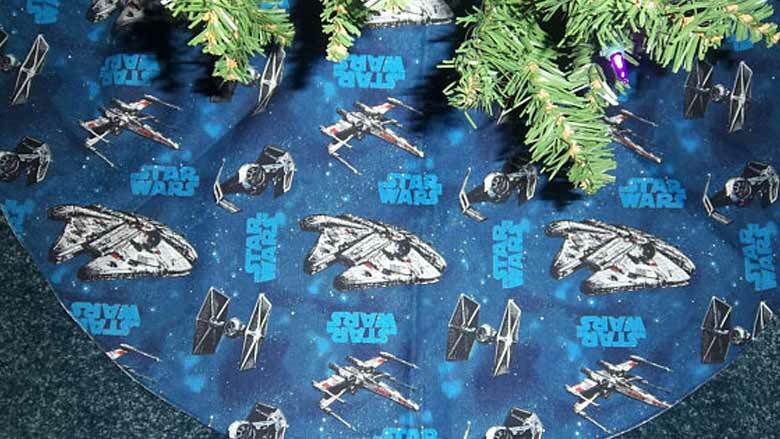 More subtle than most of the other decorations on this list is this Christmas tree skirt that has the Star Wars logo and ships on it, including the Millennium Falcon and a Tie Fighter. 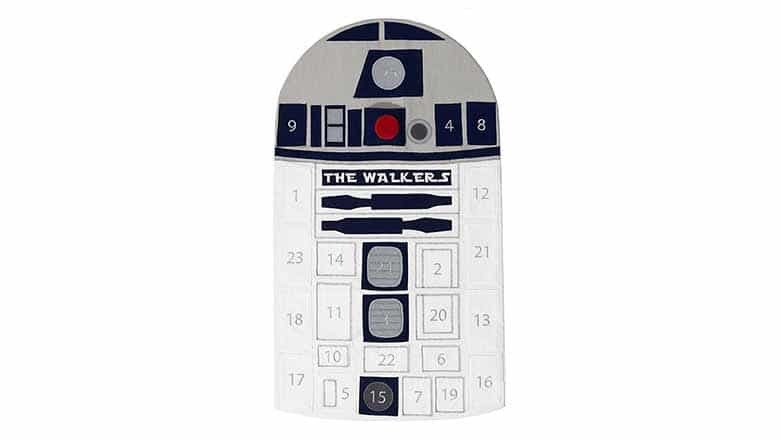 Let the countdown to Christmas begin with the R2-D2 advent calendar. 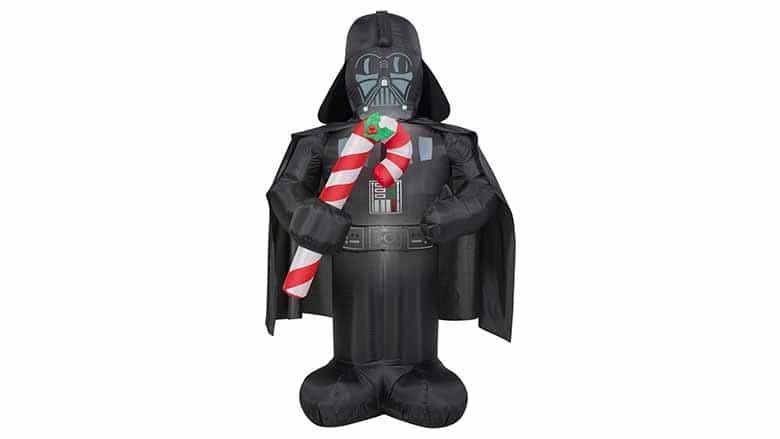 Darth Vader will hold your stocking for you. 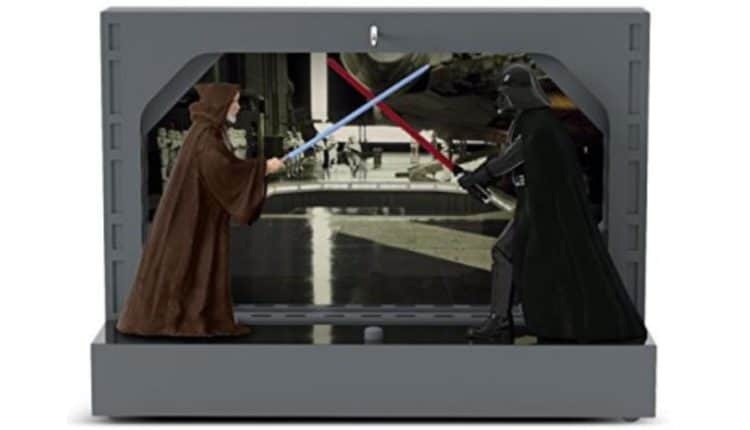 This year in the life of the Star Wars franchise has certainly been eventful, both in games and movies. We’ve seen a steady build towards the release of The Last Jedi, the direct sequel to Force Awakens. 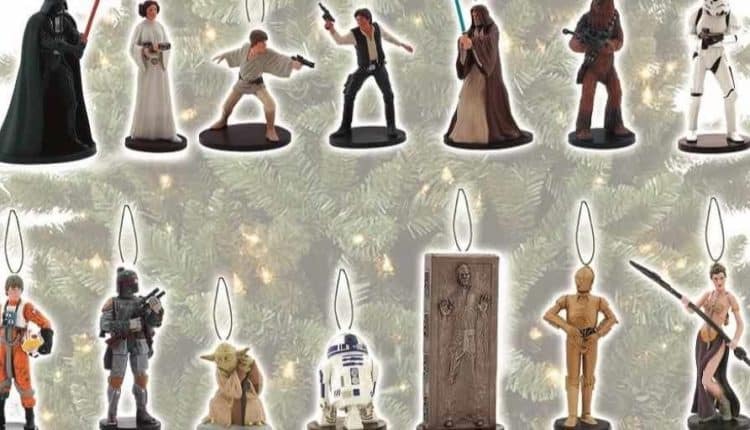 We’ll finally get to see Rey take up the Jedi mantel and hopefully defeat Kylo Ren. A villain who is trying a little too hard to villain. We’ve also had plenty of news about the Han Solo spin-off, now with the official title of Solo: A Star Wars Story. Not to mention the major director shuffle the latter had recently, months into production. The film began with Phil Lord and Chris Miller at the helm, but after a bad falling out with the film’s producer and writer, were kicked off the team. Solo is now directed by Ron Howard, who seems to have a more solid relationship with the producer. In games, we finally got our hands on EA’s Battlefront II beta, and soon the full game on November 17. Thus far, it’s sure to be way better than the first one and multiplayer is great fun. I must say, playing as Darth Maul is probably the coolest part, even if he isn’t the most practical choice. 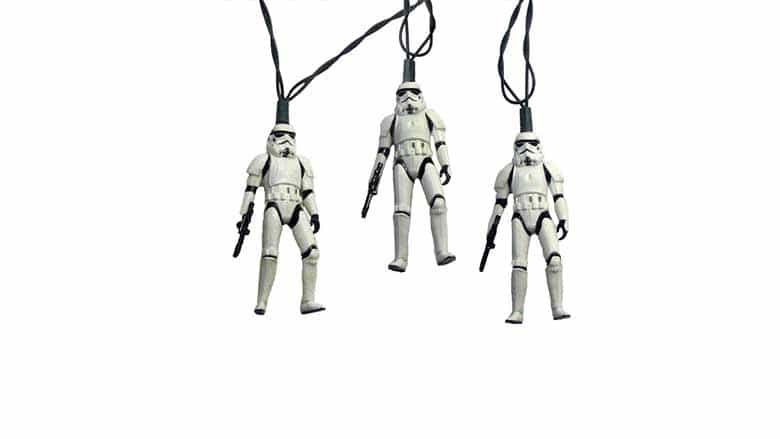 Buy this Star Wars Ornaments Set here. 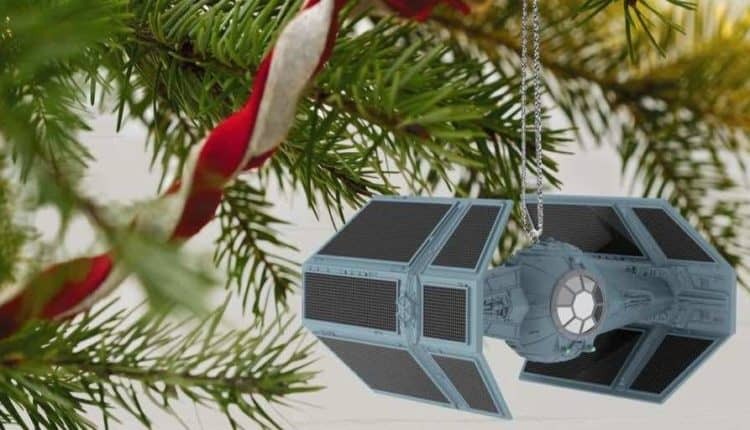 We also have these included in our list of the best overall nerdy Christmas ornaments. 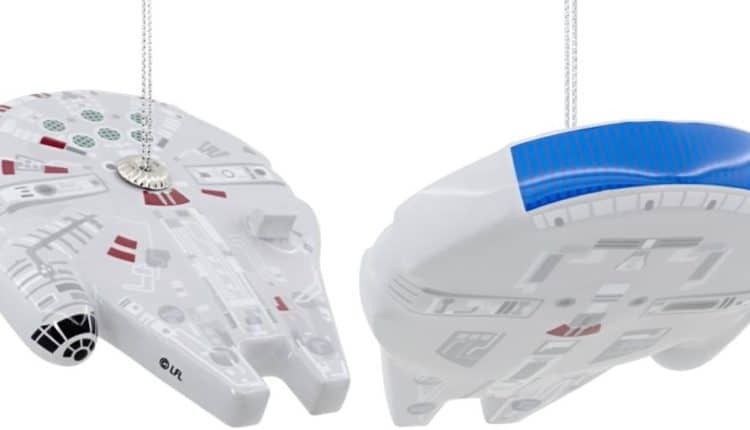 Buy the Millennium Falcon Ornament here. 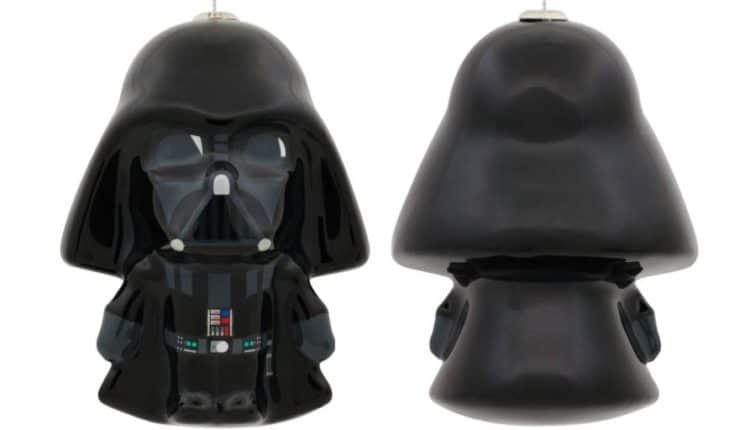 Buy the Darth Vader Ornament here. 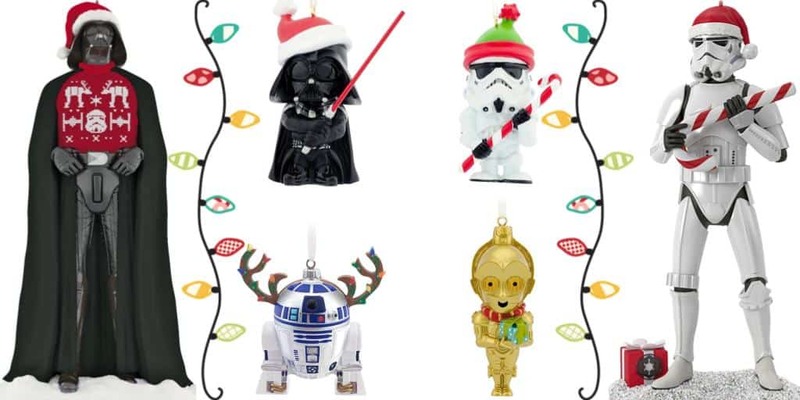 Buy this Star Wars Ornament Set at Target. 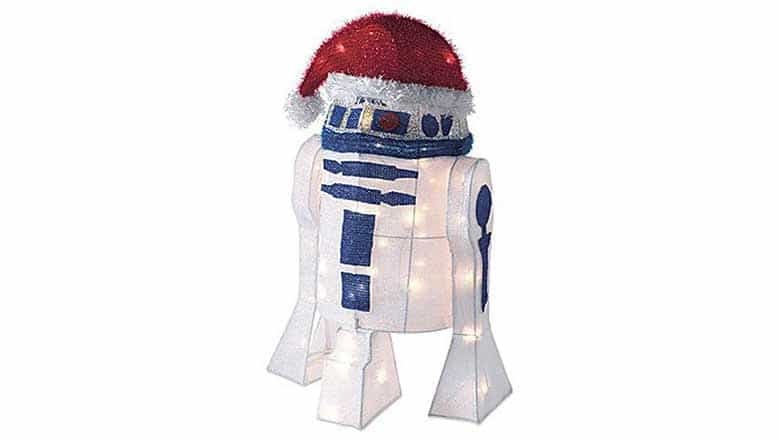 One of the best way to nerdify your holiday season is with string lights, and there are many great Star Wars Christmas lights available. Not only are they great for your tree, but they’re also great for outdoor bushes, rails, and indoor lighting accents. 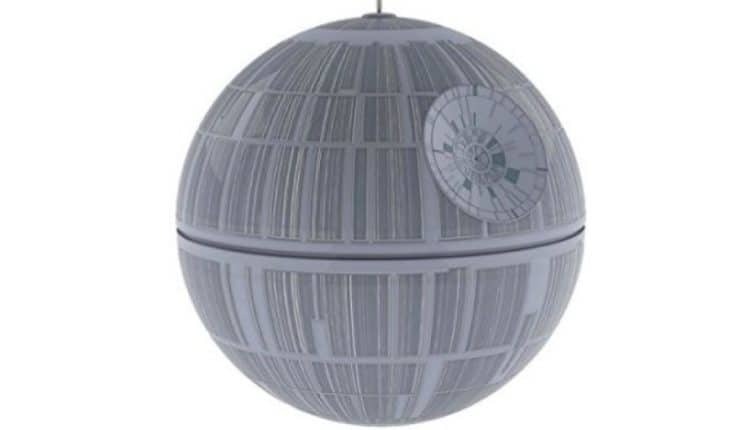 What’s more, they’re also relatively cheap, so you can decorate without breaking the bank. 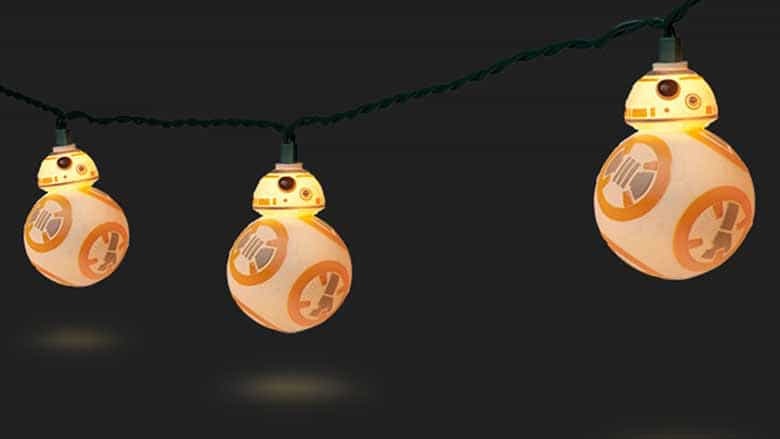 These BB-8 holiday lights are great for both the Christmas tree and year-round in the office. 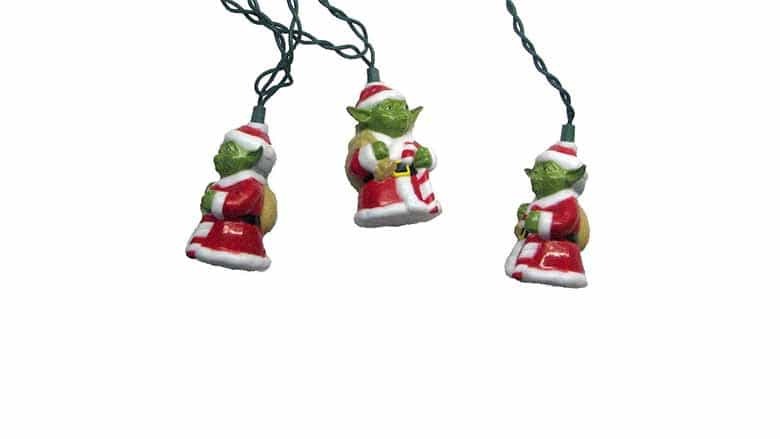 Eh, you won’t be hanging these in June, but these Santa Yoda string lights are perfect for your Christmas tree this year. 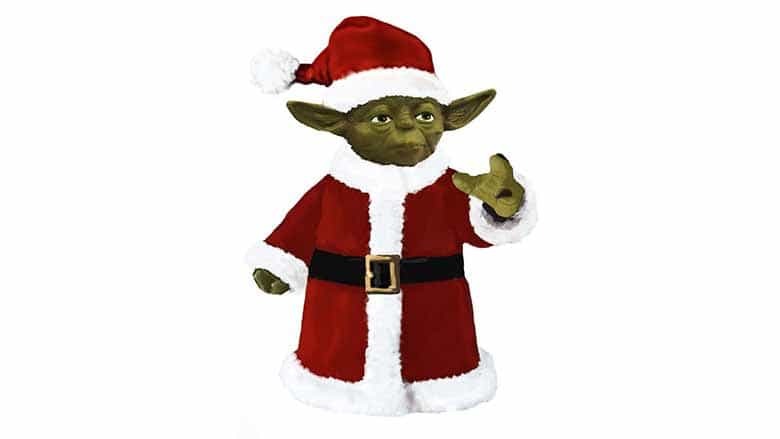 Buy the Santa Yoda String Lights here. 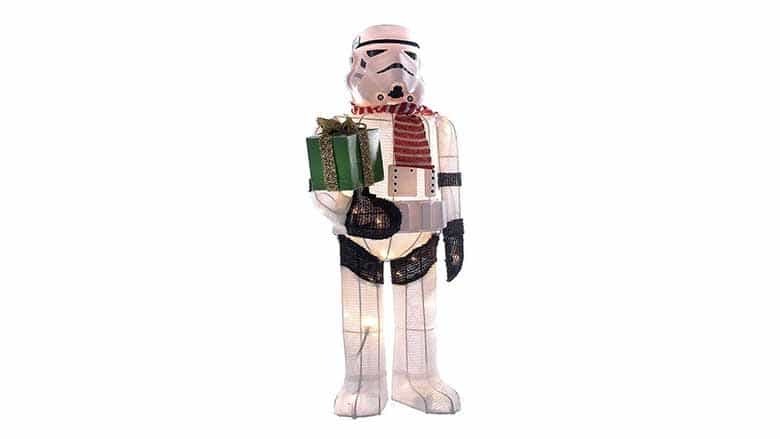 Buy the Storm Trooper Light Set here. 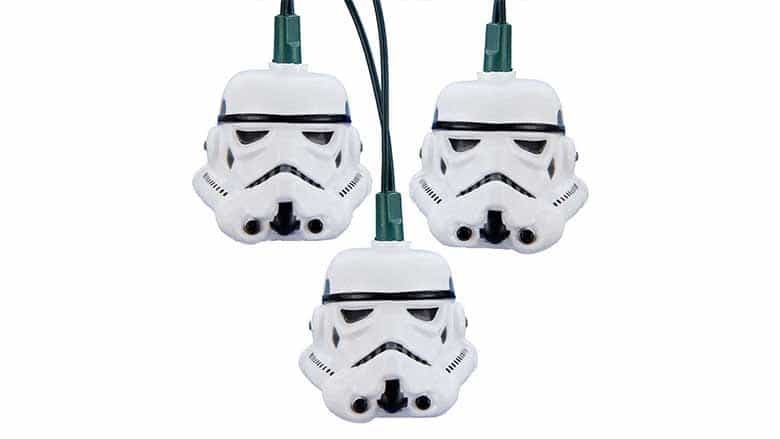 Buy the Storm Trooper Helmet Light Set on Amazon. 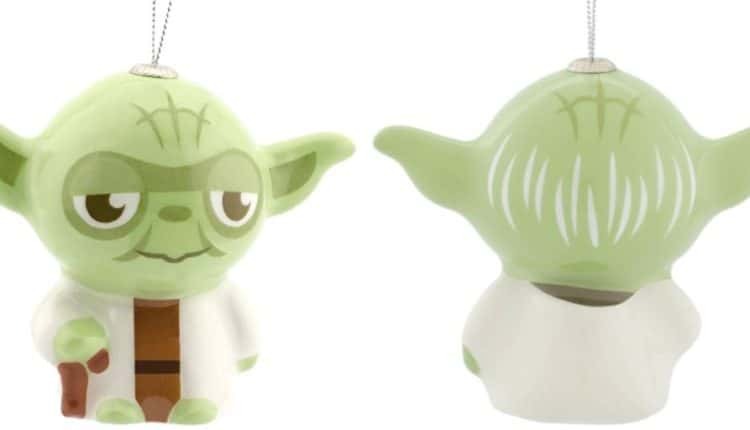 These Yoda Lights are sans the Santa robe, and they stand up rather than hang. 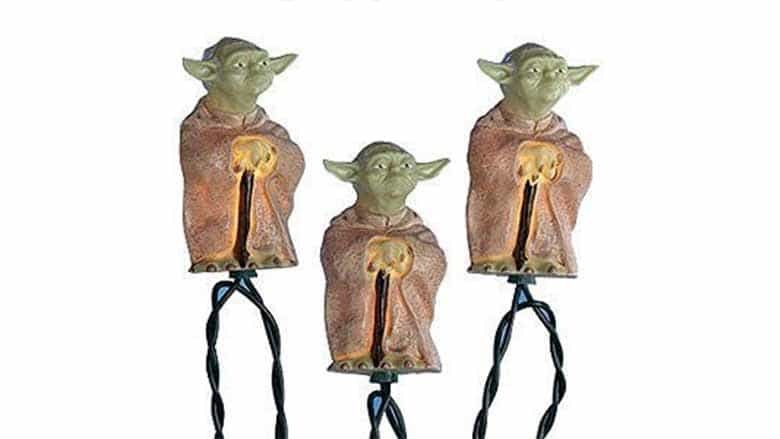 Buy the Yoda Lights on Amazon. 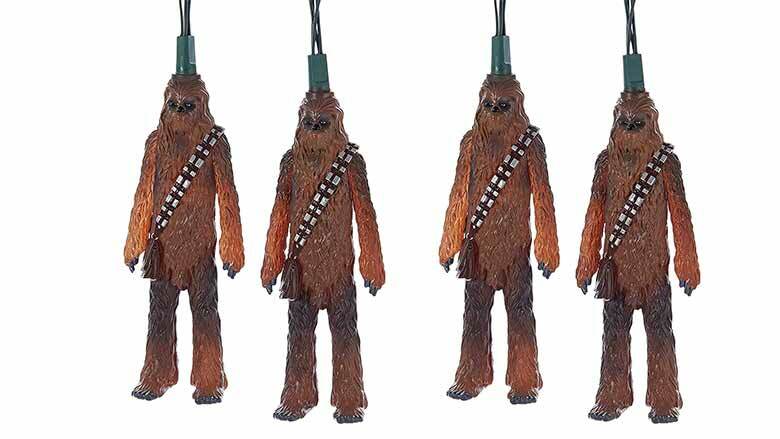 Kurt Addler’s Chewbacca light set are great. 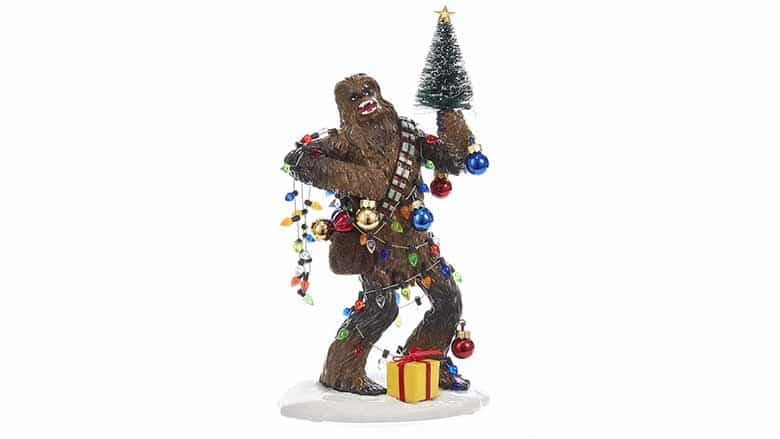 Buy the Chewbacca Light Set here. 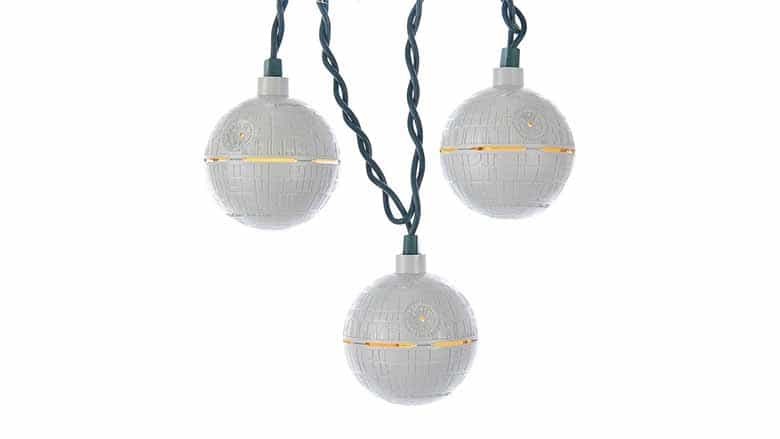 These Death Star string lights have a nice cool yellow glow to them. 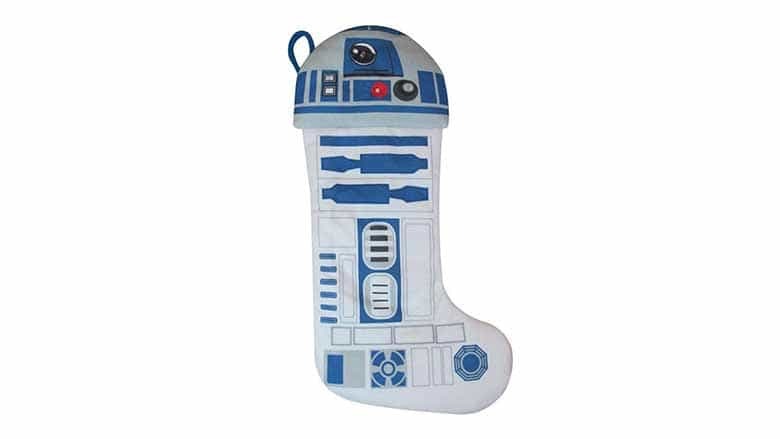 Another great way to bring your holiday decorating to a galaxy far, far away is with Star Wars stockings, and there are many different varieties available, ranging in quality and price. Our personal favorites are the ones from Kurt Addler that are available on Amazon, as they not only look great but they’re also around the $15 mark. 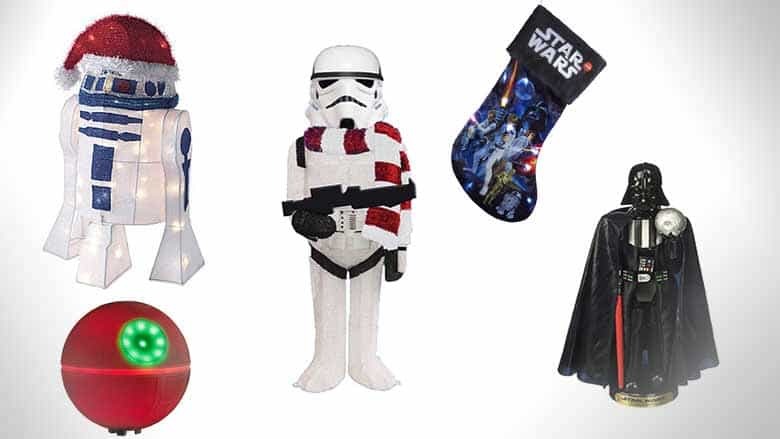 Think Geek’s Chewbacca stocking is also pretty rad, if you ask us. 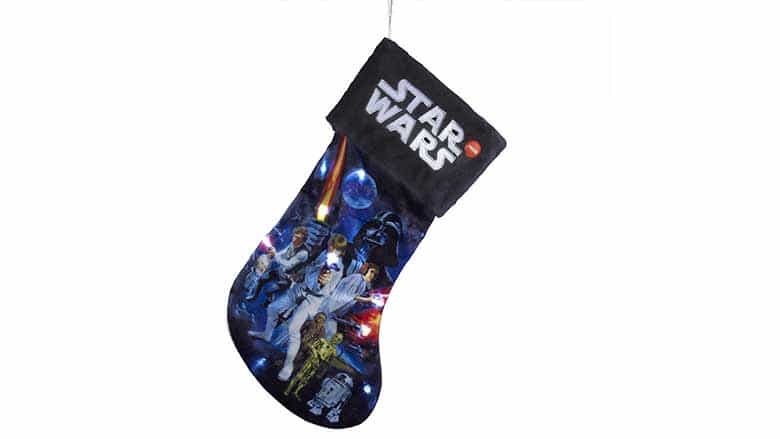 Celebrate the original Star Wars trilogy every year with this high-quality printed stocking that has the original movie poster printed on it. 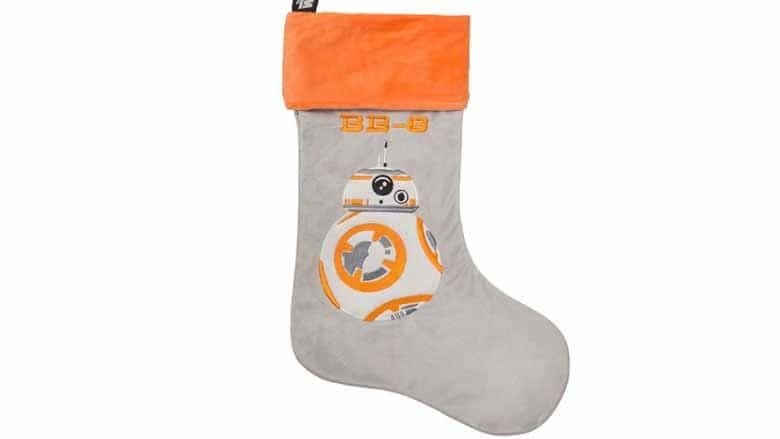 Buy the 19-inch BB-8 Christmas Stocking here. 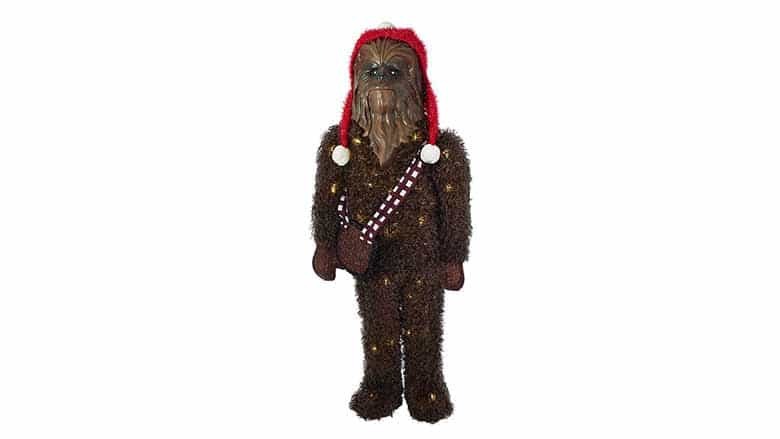 The best Chewbacca Christmas stocking you’ll find. 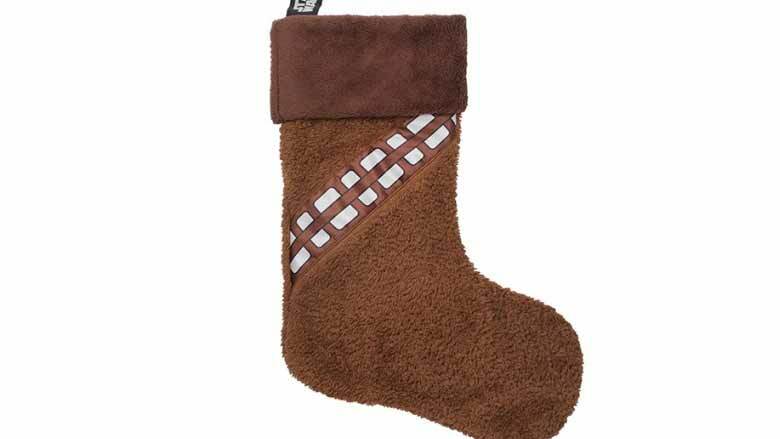 Buy the Chewbacca Stocking here. 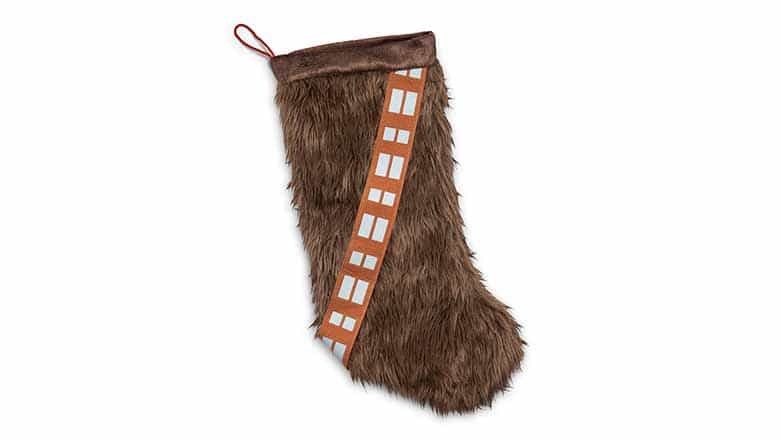 One of our favorite Star Wars stockings this year is this Chewbacca-themed one, complete with a fuzzy material. 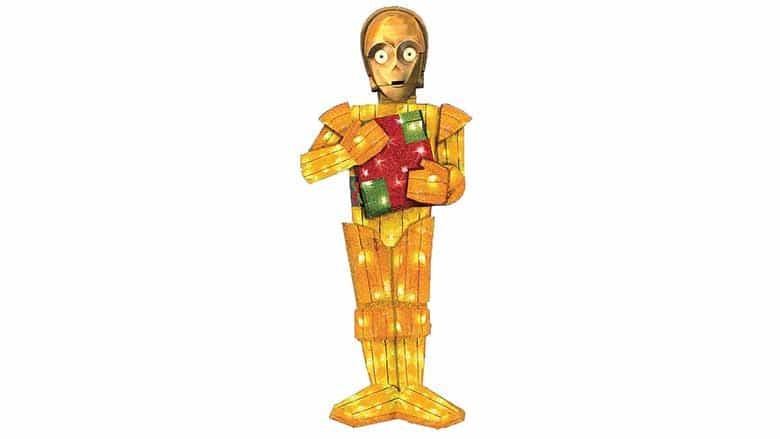 We don’t know when the whole Star Wars nutcrackers thing started, but we’re glad it did because there are many GREAT nutcrackers to satisfy any Star Wars fan. 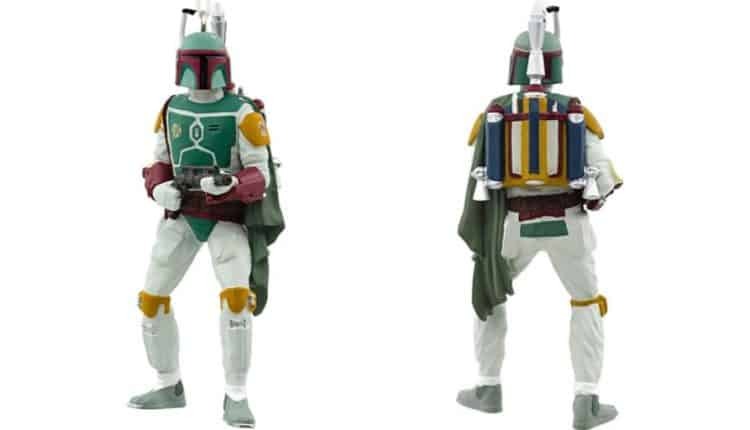 Whether you’re looking for Darth Vader, BB-8, Boba Fett, or a Santa-robe wearing Yoda, you can find it below. Keep in mind that even if you’re not big on the holiday nut tradition, these look great on your kitchen counter or coffee table, anyway. 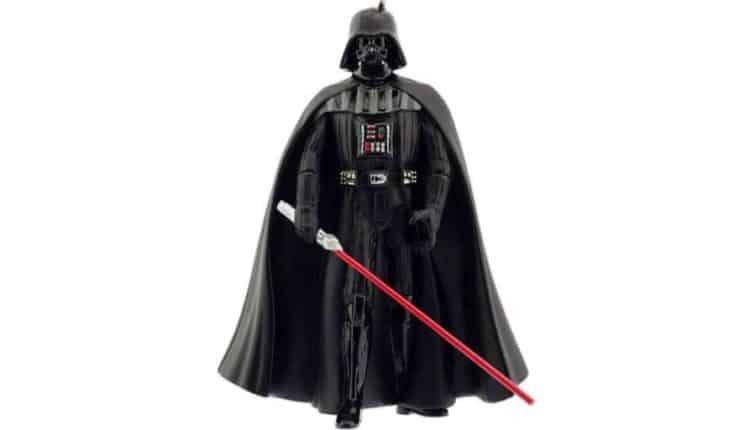 Darth Vader holding his red light saber and a Death Star replica, complete with his iconic black cape. 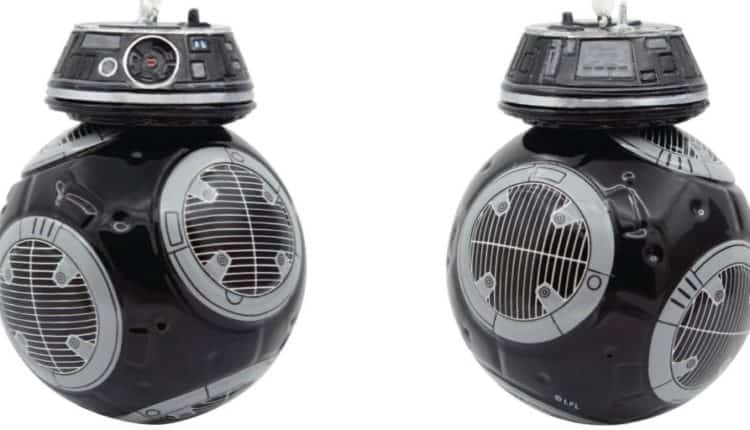 The cutest new droid in the galaxy is great at cracking those macadamias. 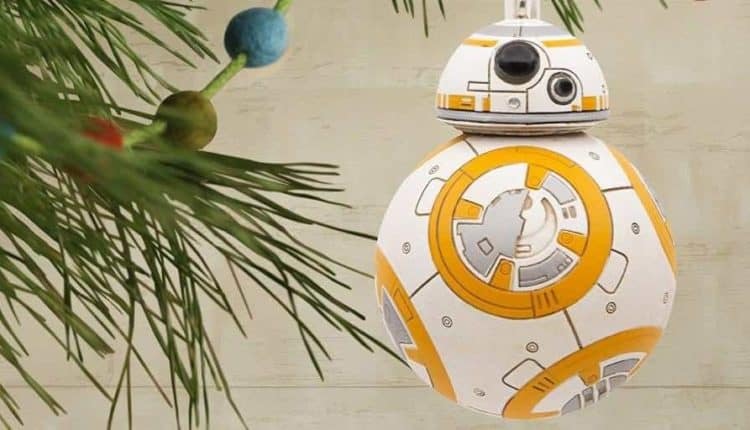 Buy the BB-8 Nutcracker here. 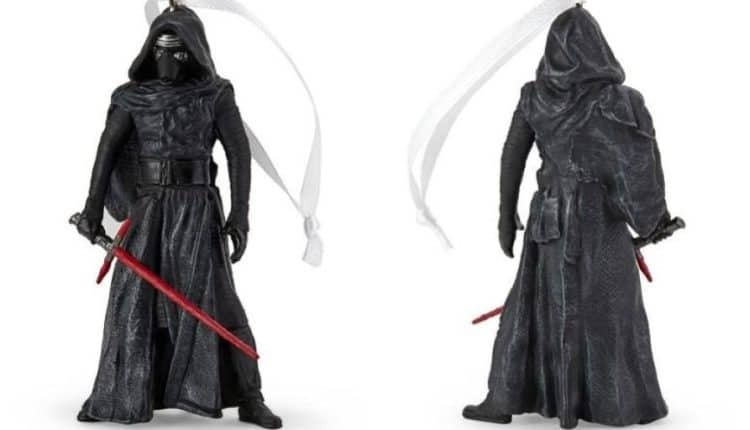 Go evil with your nut cracking, thanks to this new Kylo Ren Nutcracker. 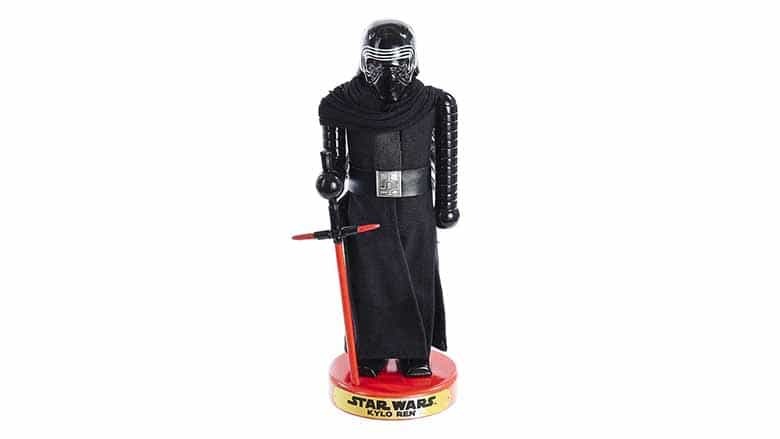 Buy the Kylo Ren Nutcracker here. 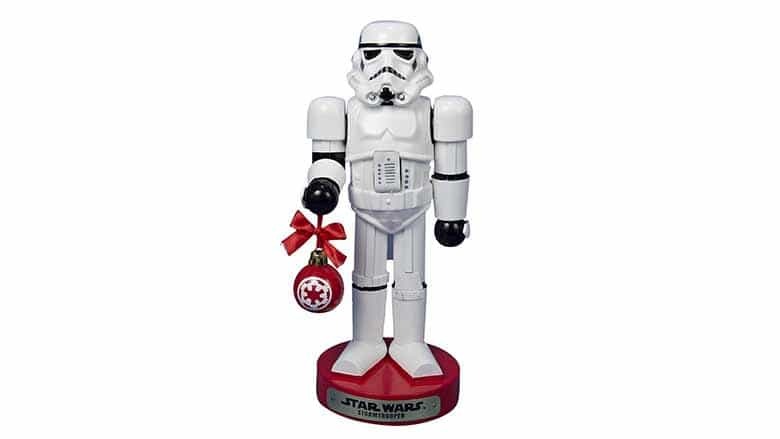 Buy the Stormtrooper w/ Ball Ornament Nutcracker here. 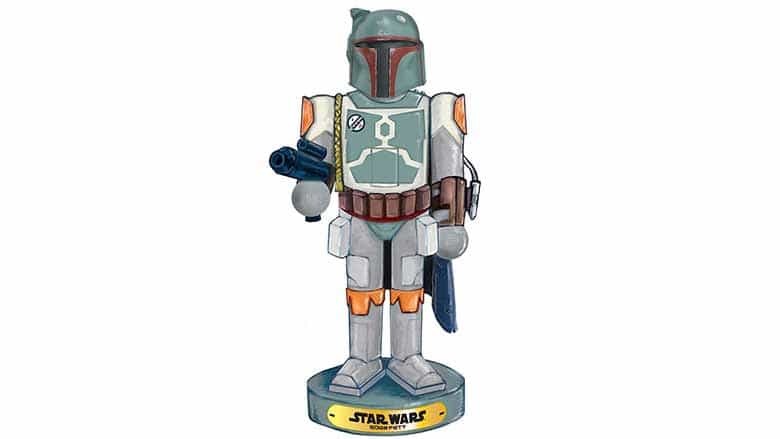 Buy the Boba Fett Nutcracker here. 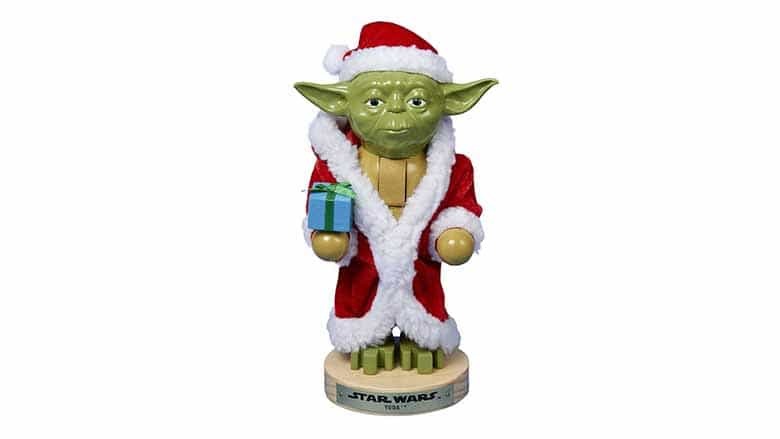 Buy the Yoda in Santa Robe Nutcracker here. 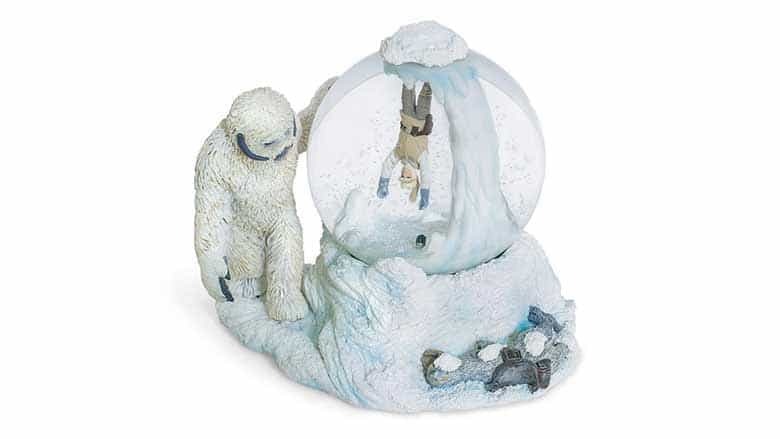 You’ve got to be careful with your outdoor Christmas decorations, because you can easily put a hurtin’ on your wallet with just a few products. However, there are still tons of options that will make your neighbors say, “Those nerds!”, and if that’s the reaction you’re looking for, we’ve got you covered. 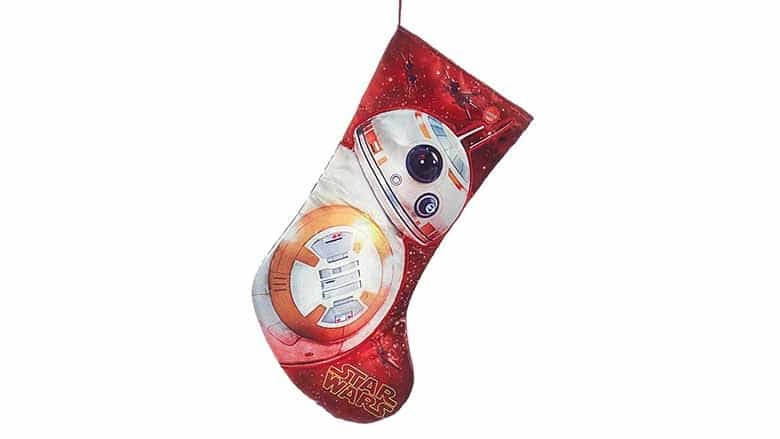 I’ll note that you can also find a few outdoor Star Wars decorations at Wal-mart, but to be honest, they’re too cheesy for our liking. There are also some cheesier ones on Amazon, so we didn’t list some of them as well. Anyway, here’s what’s available right now. 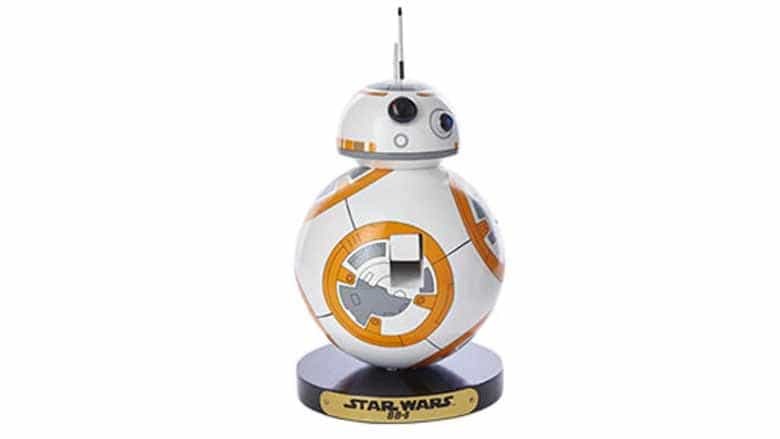 Buy the BB-8 Lawn Figure here. 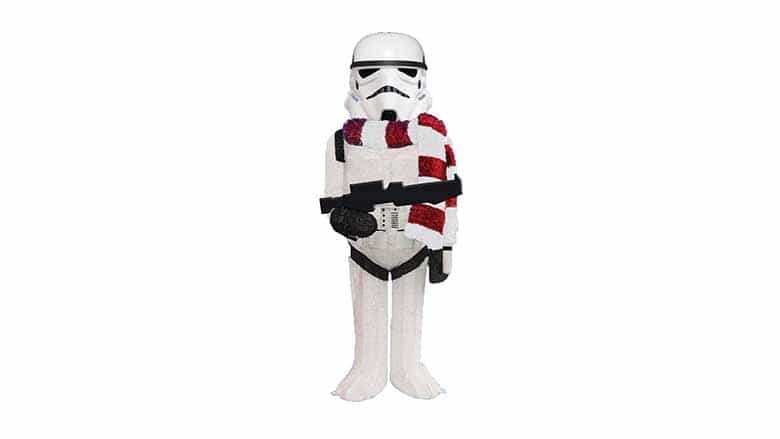 Buy the Stormtrooper w/ Candy Cane Inflatable here. 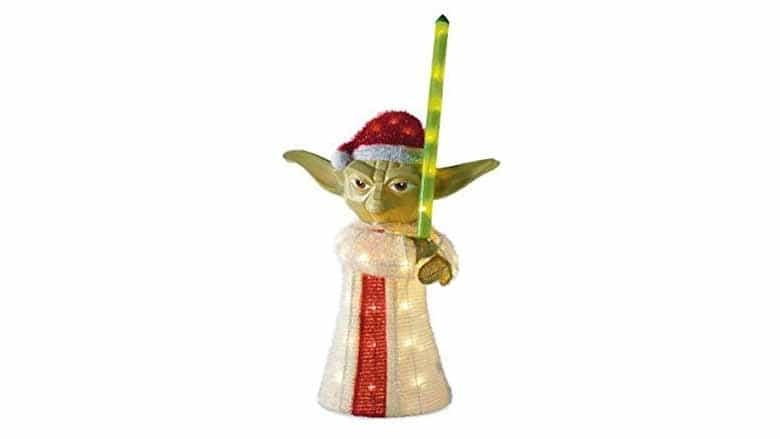 Buy the 3D Yoda Tinsel Lawn Decor here. 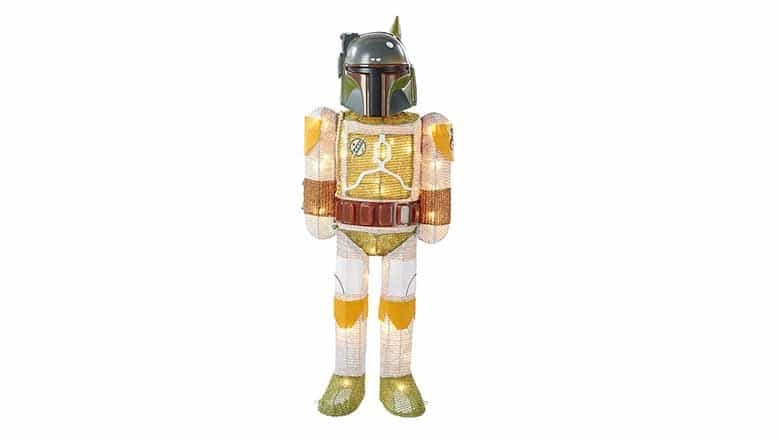 Buy the Lighted Boba Fett Lawn Ornament here. 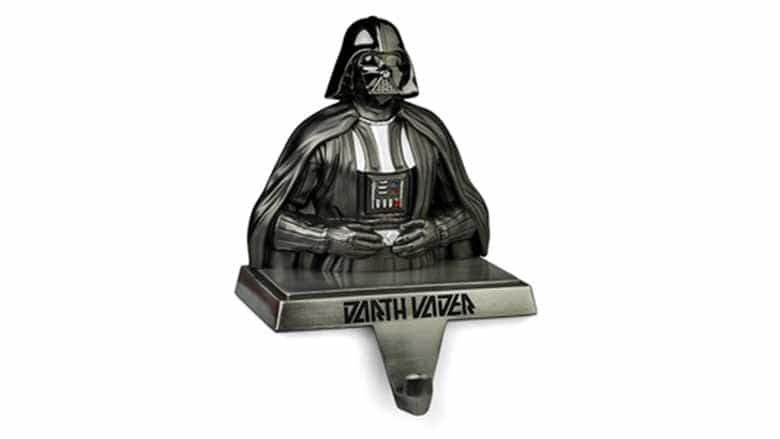 Buy the Darth Vader Lawn Figure here. A bit too cheesy for my personal tastes, but to each his own. 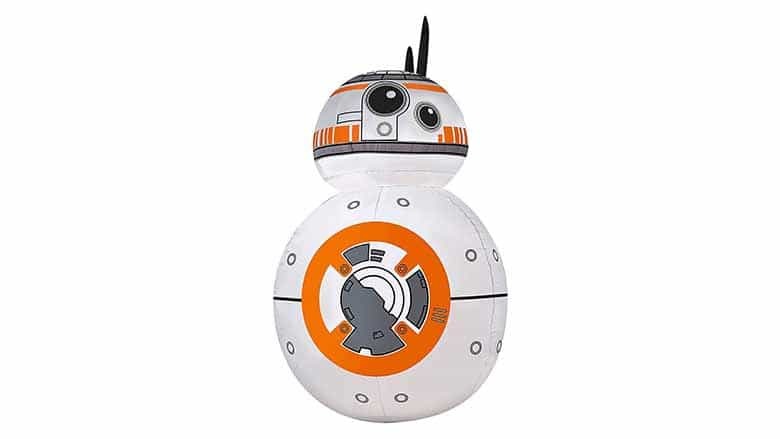 If you’re dreaming of a droid Christmas, this is available at Target. 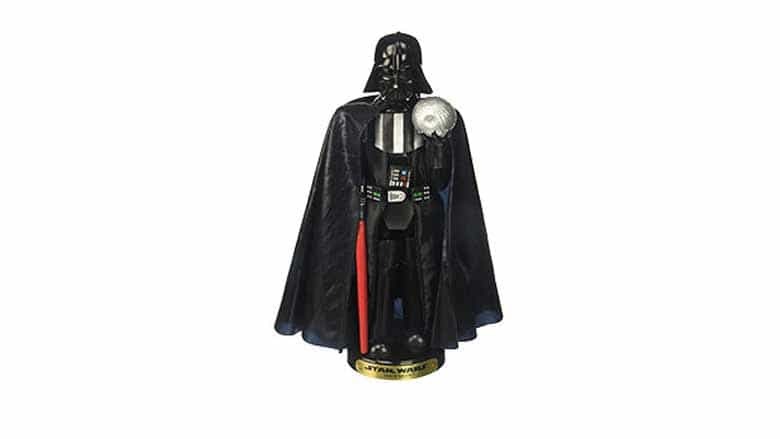 Buy the Darth Vader Inflatable here.